Looking to spice up your hair this winter? 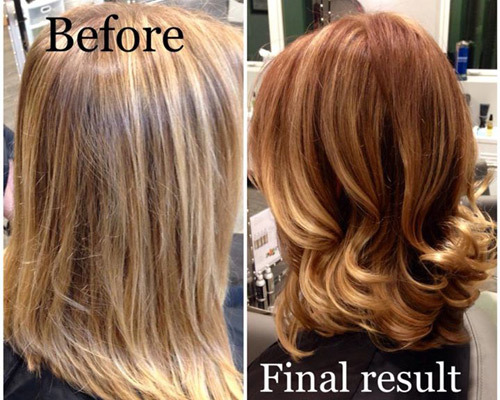 A new 'do can completely change your mood and confidence during the cold, harsh season. There are so many different options for styles, colors, and cuts - it's difficult to make the decision! Luckily, there are several salons in Saratoga to choose from to help you get started on your new look. Check out some of our favorite winter hair styles, thanks to our friends at Imagine Salon Studio! Get prepared to liven up your locks and check out some of the best hair colors and styles for this winter season! A deep, rich burgundy can act as the perfect upgrade to your style this winter! This color looks great on those with medium skin tones, but really can work on anyone. Also, all hair types are capable of reaching this color, so it's a great option for those looking to try something new this winter. 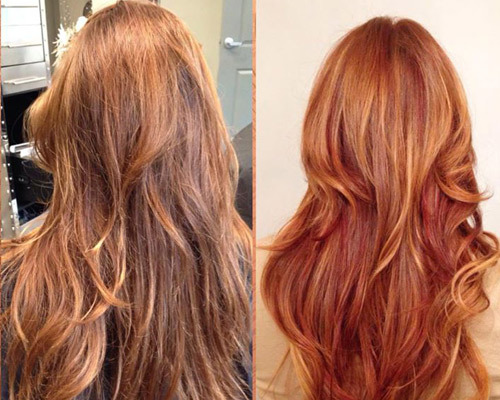 Try asking for a bit of copper undertones to get a great color that will really shine while you're in the winter sun. While blonde tends to be the popular color during the warmer months and darker colors for the winter, you don't have to totally ditch your light locks. 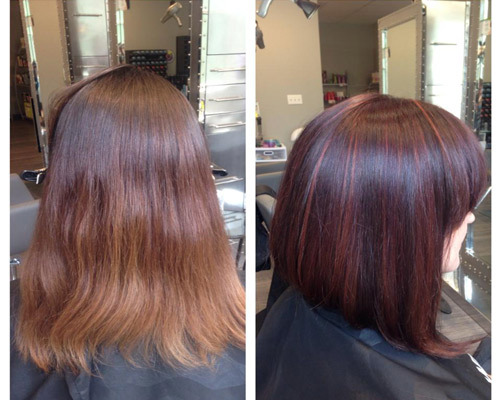 Try these red-brown highlights for a little winter fun flair! Just subtle enough for a sophisticated look, it also gives a fun, flirty appeal for the winter season. Add some curl to the ends, and you're ready for anything from a day at work to a night out on the town. 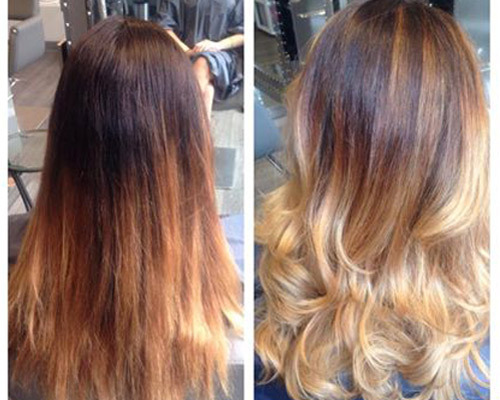 Ombres are in, no matter what time of year! The ombre effect is created by having deep brown at the roots that gradually fades to light brown at the middle, moving to blonde at the tips. As the trend is still very popular, it's a great, subtle change to make this winter to spice up your look. Plus, add some curls and you have got a beautiful hairstyle that goes great with a cute hat or scarf! Curls can totally transform your appearance, and are perfect for the winter season! They can help soften a look and really draw attention to your beautiful features. Keep them soft and loose - no one wants the perm or 90's crimped look. Plus, they go great with a cute winter cocktail dress or skinny jeans and sweater. Looking to go a shade or two darker? Well, winter is the perfect time to experiment! A dark/medium level brown can really help your eyes pop and goes great with holiday colors. Plus, try adding some red highlights into the mix to create a deep burgundy feel. It's subtle enough to be just the right amount of color, without overdoing it. 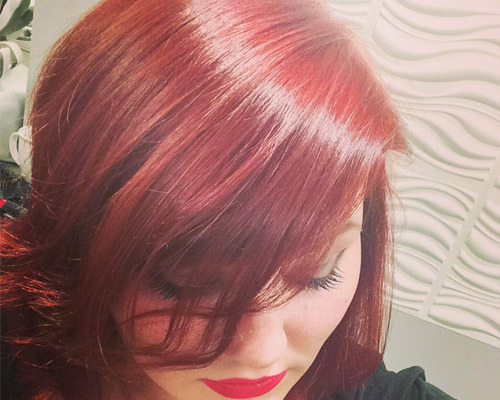 Don't be shy - add some red pops of color for the beautiful winter season!